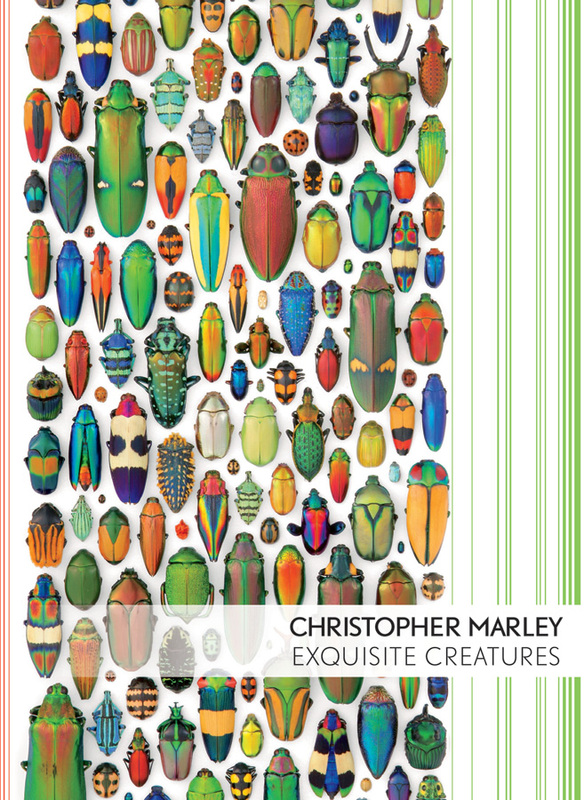 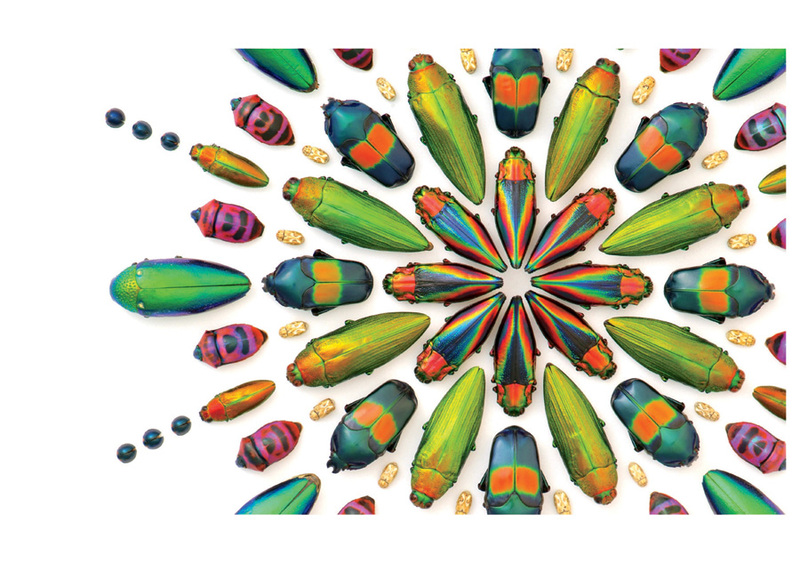 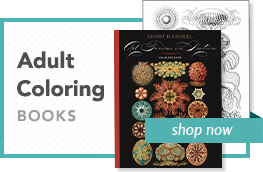 Christopher Marley’s graceful arrangements of jewel-like arthropods and delicate butterflies are stunning works of art; the iridescent colors of beetle shells and delicate hues of walking leaf wings are his pigments in a seemingly endless palette. 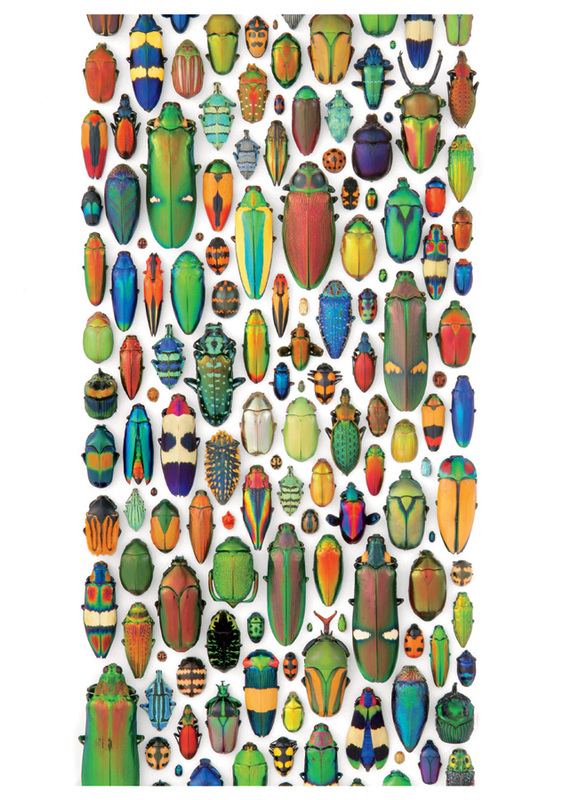 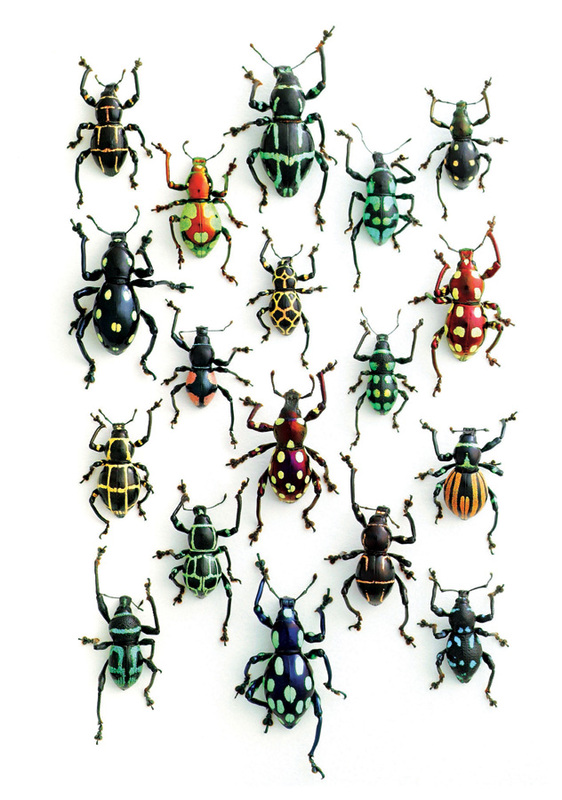 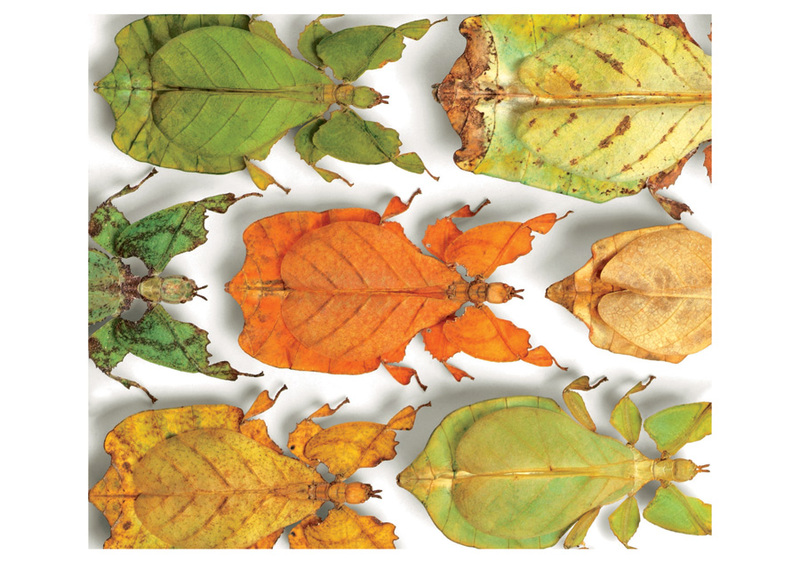 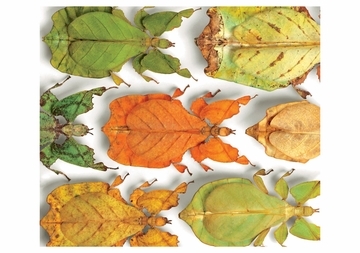 The photographs of these arrangements present the bugs in their natural state: none of the images is digitally enhanced. 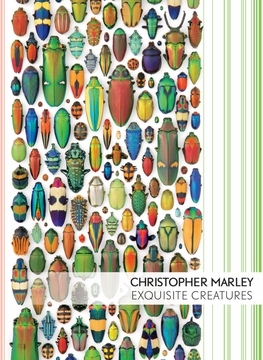 After a childhood fraught with fear of all creatures skittering about on more than four legs, Marley has spent much of his adult life studying bugs with increasing fascination. 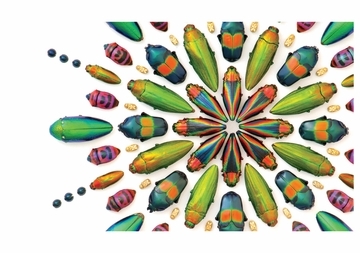 He makes frequent forays to locations far removed from his Oregon home to select the most beautiful and exotic species on Earth. 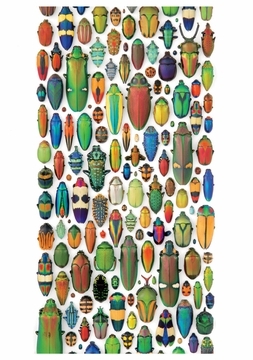 Entomologists have long affirmed that it is not the collection of insects in the wild that threatens their populations but the destruction of their habitats and host plants: insect collecting can help preserve species by offering an economic incentive to conserve the habitats in which they thrive.